Graptolites are tiny, extinct animals that lived together in groups or colonies and shared the same skeleton, which was like an apartment building. 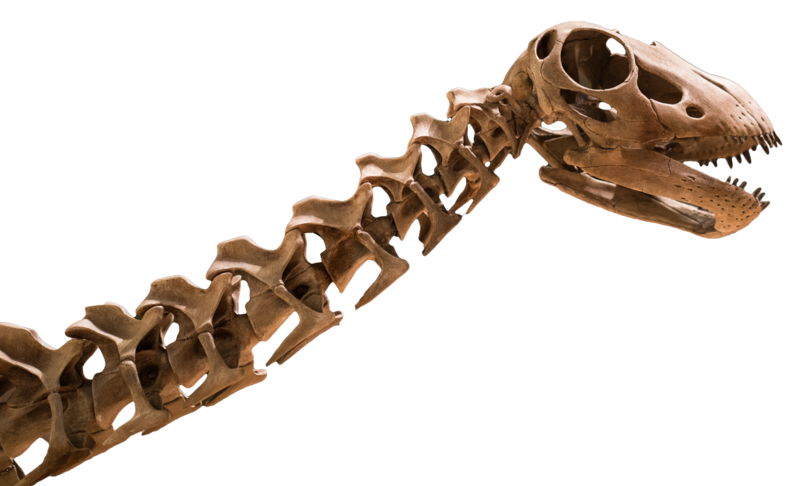 Each animal built its own “apartment” or living chamber, and these were stuck together to make the colony. Some colonies grew like branches of a tree, with many living chambers on each branch. Different kinds of graptolite colonies had branches with different shapes. They could be straight, curved or even spiral-shaped. 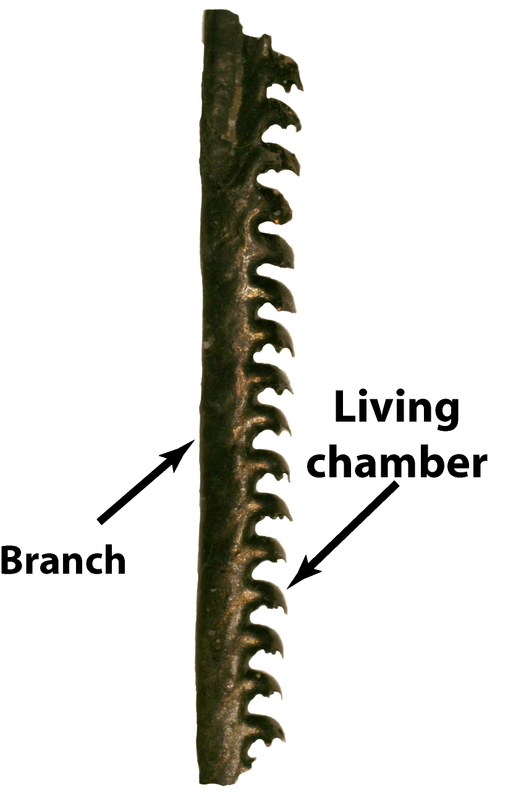 Different graptolites had different numbers of branches. 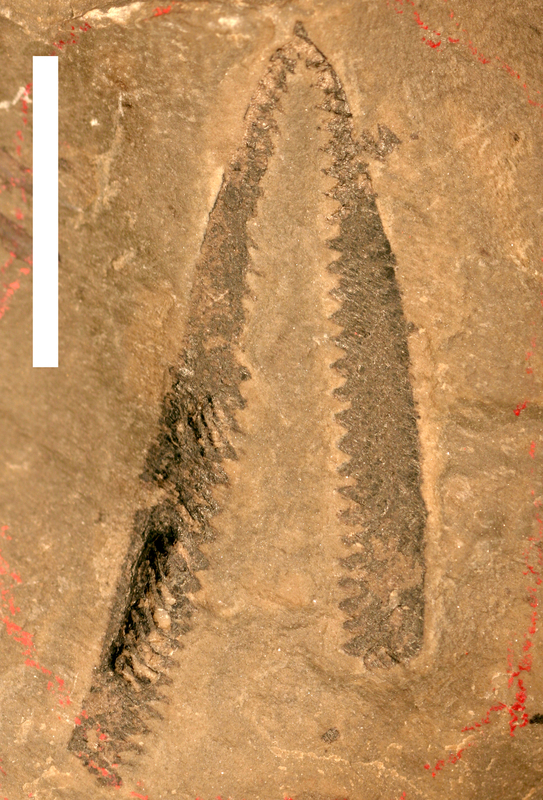 Graptolites were probably suspension feeders. They would have fed by straining plankton and other pieces of food from the water. Like their living relatives (animals called pterobranchs), they probably used tiny hairs (cilia) attached to a tentacle to grab food. 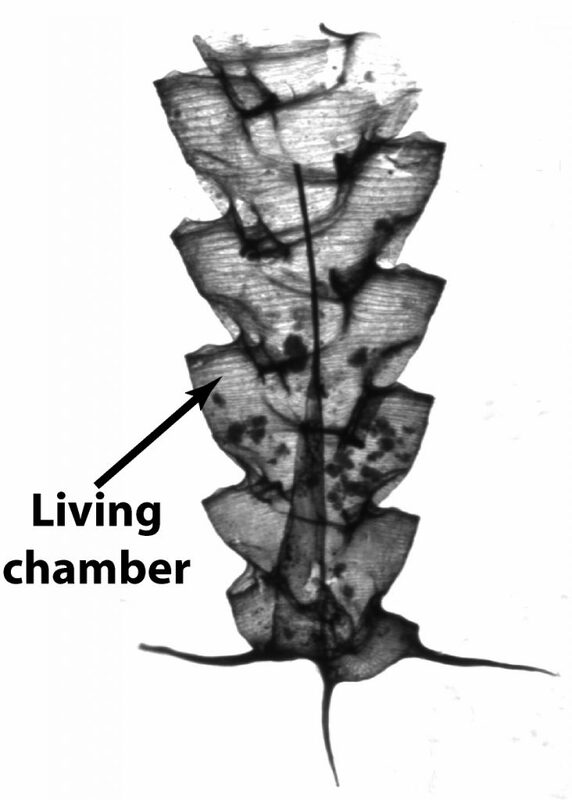 Some graptolites lived on the bottom of the ocean, where they would stick to the surface with a special structure. They grew upwards, just like a plant, adding more living chambers as the colony got older. Other graptolites floated in the seawater, perhaps drifting with the ocean currents like seaweed. Graptolites lived from the Cambrian Period, about 510 million years ago, disappearing in the Carboniferous Period, around 320 million years ago. Graptolites that lived on the ocean floor appear in the fossil record first and became extinct later than floating graptolites. 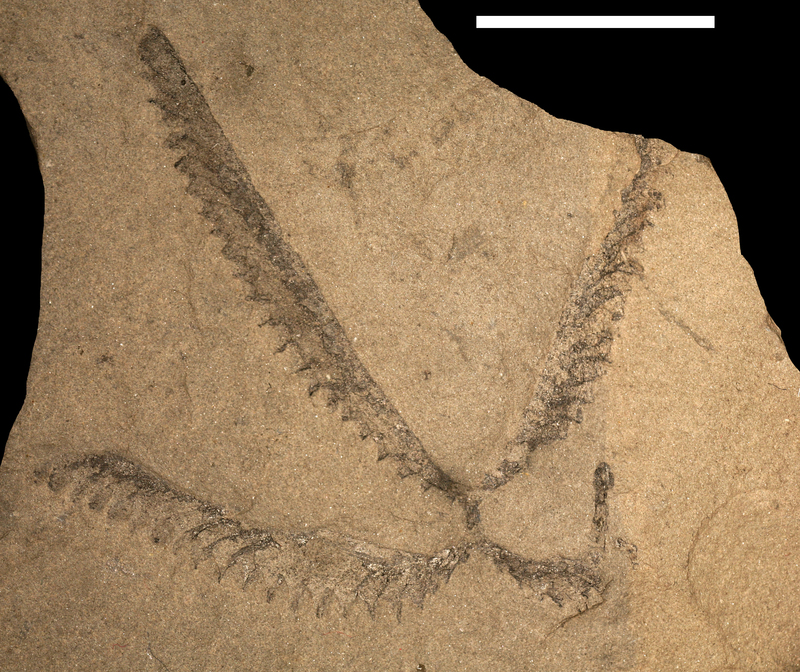 Graptolites are most common in rocks of Ordovician and Silurian age.